Dell is caught in another lawsuit which claims that it knowingly sold over a period of 2 years, approximately 12 million faulty computers which were certain to fail to customers and its business clients. The computers all had faulty capacitors which had leaks and could have also resulted in a fire. New York Times reported on the story when it got access to the documents from the lawsuit. The Optiplex machines came with leaky capacitors and were supplied to companies of all sizes. The lawsuit also claims that Dell was aware of the capacitor problem which was supplied by a Japanese partsmaker Nichicon. But Dell had continued to sell these parts to everyone even though it knew that the parts and the machine itself would fail. It even sold the same machines to the law firm that was defending it in this suit. Dell did get around and offered to replace the faulty boards but the contractor working on this project with Dell noted that the replacement parts were also faulty. Dell has admitted to the newspaper that there was a problem with Nichicon, “and it affected different customers in different ways.” Dell however denied to comment on the lawsuit. 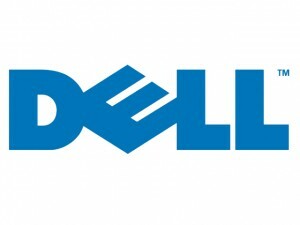 Lately Dell’s quality has been going down greatly and this sure will affect them. Previous iPhone 4 costs only $188? Next Hulu Plus announced, support for iPad, iPhone, Xbox!